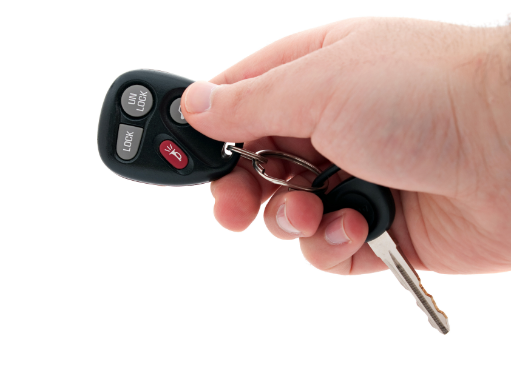 One of the best additions that you can do to your vehicle is a remote starter. However, purchasing a remote car starter isn’t as straight forward as most people would assume. There are some common mistakes that people make when in the market for a remote car starter. Buying a Remote Car Starter With Too Small a Range: Range is unimportant for most people because not many need to start their vehicles from more than 1,000 feet away. But almost everyone wants to start their vehicle from inside a building. This is where transmitter power becomes an important factor. Don’t shortchange yourself with transmitter range. You are going to use your starter in more places than your home or workplace. Stadiums, malls, hospitals, parking garages, and many other public places will most likely require a much longer range. If in doubt, pay a little more to get a more powerful unit. The last thing you would want is a remote car starter that can’t be activated from the comfort of the indoors. Not Getting the Remote Car Starter Professionally Installed: Professional installation is the key to a quality remote car starter performance. Do not determine the installer by choosing the lowest price. Remote starters involve complicated installs in today’s vehicles, so it is important that the installation be done properly. One mistake can cost thousands of dollars in damage if it;s not covered under your vehicle’s warranty. A properly installed remote car starter will not void your vehicle’s warranty. Unless someone has real-world training and experience as a professional installer, do not trust them for the job. Purchasing a Bad-quality Remote Car Starter: You can buy a remote car starter at the local auto parts store for around $80. It comes with an instructional DVD that claims that you can install it yourself. In reality, you probably can’t! These remote starters are usually of lower quality than the units that you would buy at a specialty retailer. In most cases, a quality manufacturer of remote car starters will require professional installation. The odds of failure decrease exponentially when a professional does the work. Unfortunately most people do not know a high-quality brand from a low-quality brand when it comes to remote car starters. You can do some research and ask a specialty shop about top quality brands. Remote Car Starter Without the Proper Feature Set: Remote car starters offer a lot of convenience options. Be sure to ask the right questions when buying your starter. Some models are simply what they sound like (a remote car starter, and nothing more). They start and stop the vehicle from a distance. Others have multiple functions, ranging from keyless entry and trunk release to heated seats and rear window defrost. Certain features have to be specifically added to almost all installs. Another common mistake is not adding keyless entry on newer vehicles. On most newer vehicles, the factory keyless entry does not function when the vehicle is running. This means that the factory keyless will not unlock the doors when you’ve remote started your vehicle and walked up to it. Buying a Remote Car Starter at One Place and Getting It Installed at Another: Never buy a remote car starter at one shop and have it installed somewhere else. That is the biggest mistake you can make. You always want to have your starter installed at the very same place where you bought it. Most quality shops will not install a remote starter that was purchased elsewhere. You will be left with the second and third-tier shops that might agree to do this. As stated above, you can now start your car from an app on your Apple or Android smartphone! 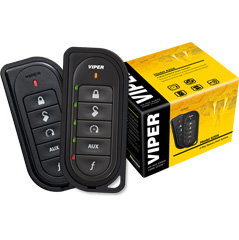 Viper SmartStart gives you unlimited range and allows you to lock, unlock, open your trunk, remote start your car, and use the panic feature all from a simple to use app. Also available is an upgraded version of Viper SmartStart that offers GPS tracking. With all of these awesome perks, Viper is one of the leading remote starter brands. A controller, or module that is installed inside of your vehicle. A remote that you attach to your keychain and use to start your car. These two items work together to start your car so that your car’s heating or A/C system can kick in before you start driving. 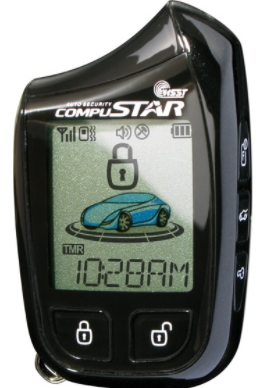 Compustar remote starters are compatible with over 90% of vehicles on the road, including manual-transmissions, diesels, select hybrids, and luxury makes. 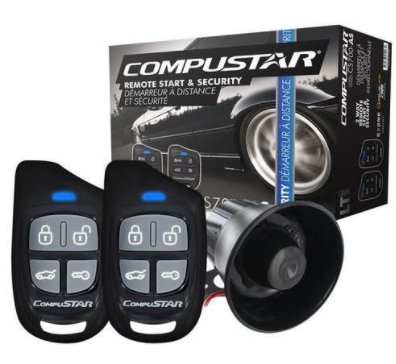 On top of that, installing Compustar remote start systems will not affect your vehicle’s manufacturers warranty. Not only are they safe for your car, but Compustar remote starters also have built-in safety features that prevent 100% of car theft. When you remote start your car, your engine is on, but the car cannot be driven unless you have the key physically inside of the vehicle. Otherwise, the moment someone touches the brakes, the vehicle will shut down. If either you or your friend are MECP-certified, professionally-trained 12-volt electricians, then you can absolutely install it yourself! Otherwise, leave it to the pros. Compustar has many retailers nation-wide. AutoWorks is an authorized remote car starter dealer and certified installation facility that has been in business for over 20 years! Contact us today to get one for yourself or someone you love and give the gift that is sure to keep you warm this winter and for many years to come! For more on our great auto products and services, call us today at 732-671-0225 or visit our website. People who live in an area where there are harsh winters understand the agony of sitting in a frozen car on a well below-freezing morning. This is true for everyone, except those experiences with remote car starters. Remote car starters are electronic devices that allow you to start your vehicle’s engine from outside of your vehicle. Remote car starters enable you to warm up your car on those cold winter mornings, or even cool down your seats during the summer. How Do Remote Car Starters Work? 1. A controller, or module that is installed inside of your vehicle. 2. A remote that you attach to your keychain and use to start your car. These two items: the controller and the remote work together to start your car so that your car’s heat or A/C system can “warm up” before you start driving. Are Remote Car Starters Safe your My Car? 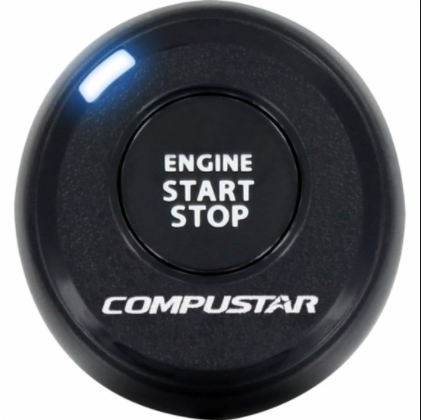 Compustar remote car starters, in particular, are compatible with over 90% of vehicles on the road, including manual-transmissions, diesels, select hybrids, and luxury makes. More importantly, installing their systems will not affect your vehicle’s manufacturers warranty. On top of being safe for your car, these remote start systems also have built-in safety features that prevent 100% of car theft. When you remote start your car, your engine is on, but the car cannot be driven unless you have the key physically inside of the vehicle. Otherwise, the moment someone touches the brakes, the vehicle will shut down. Looking for Remote Car Starters & Installation Services from an Authorized Dealer? AutoWorks is an authorized Compustar dealer and offers remote start systems & installation services as well as other auto electronics to towns in the Monmouth County, NJ area. We serve towns including Middletown, Homdel, Oceanport, Keyport, Keansburg, Highlands, Matawan, Long Branch, Hazlet, Atlantic Highlands, Aberdeen, Shrewsbury Twp, West Long Branch, Fair Haven, and many more. To learn more about our auto electronics and installation services, contact us today at 732-671-0225 or visit the website. Remote car starters are a popular feature that many people add to their vehicle. There are many benefits that remote car starters have to offer, along with a couple drawbacks. Today, we’re going to go over what they are. They come in handy. Many remote car starters can turn on your car from up to 1,500 feet away. That means you don’t have to brave the elements to start your car, and you don’t have to sit in its chilly interior while it warms up. Remote car starters can also be useful in the summer. If you set your air conditioning to turn on when the car starts, you can cool your car off before stepping inside. Combine multiple features into a single remote. In many modern remote car starter systems, the remote can be programmed to unlock your doors. That way you won’t need one remote to start the car and another to unlock the doors. Some remotes can even be programmed to open your trunk. Extra layers of security. Different models of remote starters come with different safety features. Many starters have automatic door locks that kick in when the car is started by remote. That way no one can enter without the key or remote, reducing the possibility of theft. Wasted Gas. As soon as you turn on your car, it starts using gas. The longer you let your car idle, the more fuel is burned without you getting anywhere. To paraphrase a line from a Consumer Reports article, when you’re idling, your car is getting zero MPH. Higher carbon dioxide emissions. Idle cars can also be damaging to the environment. Every bit of gas burned by your car produces carbon dioxide, which has a hand in global warming, smog, and respiratory ailments. Leaving your car idle, no matter the season, puts unnecessary emissions into the atmosphere. Be sure to check your local area for by-laws prohibiting idling. Potential wear on your engine. Leaving your car idle can harm pieces of your engine, particularly the exhaust systems and spark plugs. This happens because fuel residue condenses on the walls of your engine’s cylinders. That residue contaminates the oil, which in turn causes engine damage. The significant drawbacks of remote starter car systems are all tied to idling, so making a conscious effort not to leave your car running long after starting it, you can reap only the benefits of your remote car starter. Looking for Quality Remote Car Starters & Installation Services Near Oceanport NJ? AutoWorks is a automotive shop that also offers & installs remote car starters & other auto electronics to towns in the Monmouth County area. We serve serve towns including Middletown, Red Bank, Oceanport, Rumson, Little Silver, Marlboro, Manalapan, Long Branch, Holmdel, Ocean Township, Lincroft, Shrewsbury, West Long Branch, Fair Haven, and many more. To learn more about our auto electronics and installation services and other services contact us today at 732-671-0225 or visit the website. Remote car starters make a great asset for any vehicle. They’re convenient, add safety, and add security. The problem is, a lot of people don’t really know how to shop for remote car starters. Here are some of the mistakes people make when they purchase a remote starter. Not getting a remote starter with the proper features. Remote car starters offer a lot of convenient options. But you have to ask the right questions when buying one. Many remote car starters are just remote car starters. They start and stop the vehicle remotely, with no other features. There are extra functions available ranging from keyless entry and remote engine start to auto window control and push button start. Buying a remote starter without a keyless entry feature. A common mistake is not buying a remote starter with a keyless entry feature. This means that with this kind of remote starter you would have to use the old fashioned key to unlock your car. The solution to this is to choose a remote starter that has a keyless entry feature that automatically unlocks the doors when you approach your car. Buying Low quality remote car starters. You can buy a remote car starter from a bunch of places these days. Most come with an instructional booklet or DVD that claims that you can easily install it yourself, but that’s rarely the case. These remote car starters are usually of lower quality than the systems that you would buy at a specialty manufacturer and retailer. Choosing an inferior product will lead to issues in the future. Buying Remote Car Starters From One Shop And Getting It Installed At Another. This should never be done. You should always have your starter installed at the very same place that you bought it. This can void the warranty. Why risk installing it yourself or at a third party shop when you can get it installed by a professional the correct way. Looking for Quality Remote Car Starters in Central NJ? AutoWorks is a automotive shop that also offers & installs car audio systems & electronics to towns in the Monmouth County area. We exclusively use Solar Gard tint high performance window films. We serve serve towns including Middletown, Red Bank, Oceanport, Rumson, Little Silver, Marlboro, Manalapan, Long Branch, Holmdel, Ocean Township, Lincroft, Shrewsbury, West Long Branch, Fair Haven, and many more. To learn more about our car subwoofer installation services and other services contact us today at 732-671-0225 or visit the website. Remote car starters are great for freezing winter mornings when you don’t want to get into an icebox of a vehicle for the drive to work. However, before you rush out and purchase one, there are a few things you should keep in mind when it comes to remote car starters. Ranges – All remote car starters have a specified range as to how far you can be from the vehicle to start to it. These ranges are typically between 500 feet and 5,000 feet. This broad range is important, as they are based on no interference between the transmitter and the vehicle. If you plan to start a vehicle right outside your door, a 500-foot range will work. If you know your car will be downstairs or buried deep in a parking lot, the highest range is the best option. Myth That They Cause Damage – There is a myth that remote car starters can damage your vehicle. The truth of this is that a properly installed, high quality system will not cause any damage. Incidents where cars have quit running or even caught fire are typically due to being installed improperly, although extremely cheap systems are also unreliable. Installation Matters – You need to have your remote car starter installed by a professional that understands the intricacies of the system and how to run the wiring. Vehicles have become more complex over the years, and that complexity can be a problem if someone doesn’t have the proper knowledge of the systems involved. This is one case where the cheapest installer is not necessarily the best option. Make sure to do your research to protect yourself and your vehicle. Warranties – It’s very important to understand that having a remote car starter professionally installed will not void your vehicle’s warranty. Programming – You will also need to decide if you want a remote car starter that activates the rear defrost or heated seats, or provides keyless entry. There are remote car starters available that can have these features added, but you will need to pay for the additional options. Looking for Quality Remote Car Starters & Professional Installation Services?